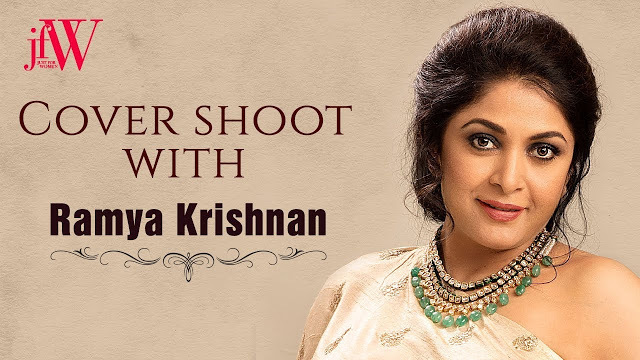 Ramya Krishnan Photoshoot on JFW Magazine Cover: Ravishing Baahubali Star Sivagami aka Ramya Krishnan shares her Baahubali experience in JFW Magazine on August’ 2017 edition! Actress Ramya Krishna is one of those tremendous actors that the film industry got. She turned heads with her performance in Baahubali. She looked a perfect Queen in the film and look at this video, which is totally a different look of hers. She took us back to her early days with the picture. She looked this gorgeous after a long time we would say. Does she look like 46? She pushed her age 10 years behind with her look here.Sivagami aka Ramya Krishnan flaunted this one shoulder ethnic wear accessorized with a necklace and the simple hair updo. She looked stunning like never before.